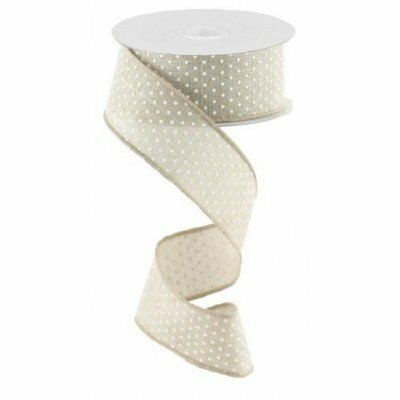 A natural woven ribbon with a a swiss dot pattern. Perfect for Neutral palettes or times when you want your florals to steal the show! Wired ribbon holds its shape beautifully.